Mater and Lightning McQueen team-up to track down runaway tractors in this Little Golden Book featuring all of your favorite characters from Disney/Pixar Cars. 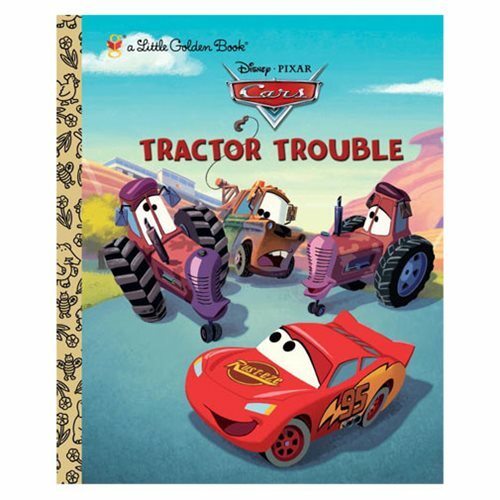 The Disney/Pixar Cars Tractor Trouble Little Golden Book is a must-have for children ages 3-7! The 24 page book measures about 8-inches tall x 6 3/5-inches wide.